4. If you ever find your content appearing on another website, you can raise aDMCA complaint with Google against that site to get the content removed. Google has a simple wizard to help you claim content and the tool can also be used to remove websites from Google search results that are scraping your content. 9. 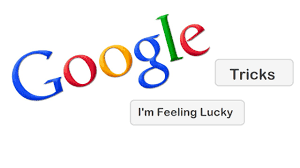 Worried that someone else is using your Google account or it could behacked? Open the activity report to see a log of every device that has recently connected into your Google account. You’ll also get to know the I.P. Addresses and the approximate geographic location. Unfortunately, you can’t remotely log out of a Google session.